As the world gears up to soak itself in all its Christmas fervour, cinegoers this week with a diverse range of films — in Hindi and in regional languages — hitting the screens. 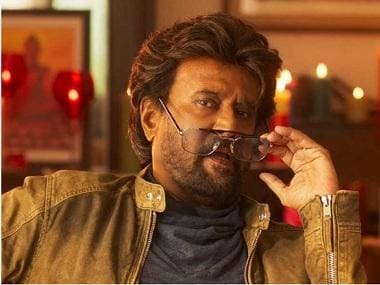 From the highly-anticipated Shah Rukh Khan release Zero to Dhanush's mass entertainer Maari 2 to the grand period-drama KGF: Chapter 1, viewers will have an eclectic mix of movies to choose from, for their pre-Christmas outing. What's it about: The story revolves around Bauua Singh, a vertically challenged man and his associations with a superstar struggling from alcoholism and a scientist suffering from cerebral palsy, which propels him to undertake a life-altering journey to the moon. Why it may work: It is arguably the biggest release this week, with superstar Shah Rukh Khan helming the project. Further, there is intense curiosity among fans to watch Khan in the role of a vertically-challenged man. With the success of high concepts films like Stree, Tummbad and AndhaDhun this year, the Aanand L Rai directorial is being deemed by many as the release of the year. What's it about: Director Balaji Mohan's sequel to the entertainer 2015 comedy film Maari takes off from where the first film left off, and sees the dhoti-clad, moustache-twirling local don as he carries out his Robin-hoodesque activities with his band of cronies. Why it may work: Riding on the success of its predecessor, Maari 2 could offer viewers a fun masala entertainer, with South Indian superstar Dhanush. What's it about: Set in the historic Kolar Gold Fields, the Kannada-language action-period drama will narrate the story of the gang-lords who used to control the famed mines. The rags-to-riches tale revolves around the journey of one man (played by Yash), who rises from the dusty streets of Mumbai to become the ruler of the now-defunct Kolar Gold Fields. Who is in it: Yash, Ramya Krishna, Anant Nag and Achyuth Kumar. Why it may work: KGF is costliest film ever made in the history of Kannada cinema and is simultaneously releasing in five languages — Tamil, Telugu, Malayalam, Kannada and Hindi. The film has been in making for over two years now, and has generated considerable amount of interest not only among South Indian audiences but also across the country. What's it about: Antariksham is a Telugu science fiction space thriller film set against the backdrop of Srihari Kota Space Center, Andhra Pradesh. It centres around the character of Varun Tej, who helps a team of astronauts from the Indian Space Centre to launch a satellite. Why it may work: Directed by The Ghazi Attack's Sankalp Reddy, the film stars Varun Tej in the titular role and Aditi Rao Hydari, who will be seen as an astronaut.